Are you a parent planning to apply for your child to enter boarding school at some future date, or are you further down the track, getting ready to wave him /her off to a distant country in the next few weeks? For many parents, the stress and fear of separation is a huge source of anxiety and can transform what should be an exciting milestone in the child's life into a time of trauma. It can be difficult to entrust your child to others, especially when he /she is still quite young. This article seeks to provide some reassurance about the excellent care and support that Brillantmont International School offers. Saying goodbye is never easy, but knowing your child is in expert hands makes all the difference. Switzerland is known worldwide for its security, with a long history of families sending their young children here for education. Its safe borders, centuries of neutrality, rich cultural history and sense of discretion have made it the top choice for elite boarding school students for hundreds of years. Brillantmont International School has over a century of experience in this tradition. You may be worried that your child will lose his /her secure sense of family and feel lost in a large school. 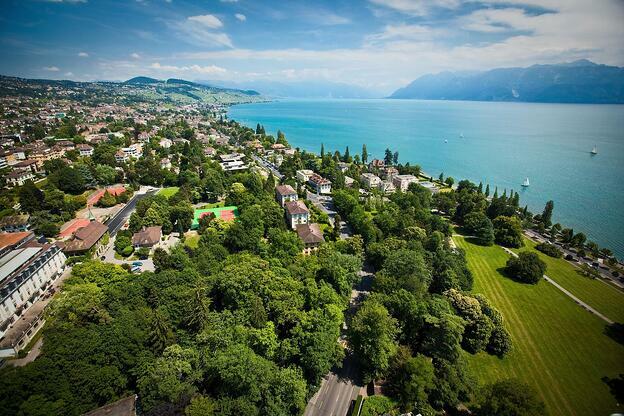 Amongst Swiss boarding schools, Brillantmont is unique in addressing this concern since its small size ensures a very distinct family atmosphere. Since its foundation in 1882, Brillantmont has been owned by the same family and maintaining a welcoming and long-lasting family environment for all children is one of our highest priorities. After all, if we want students to thrive both in and out of the classroom, they need to feel at home, well cared for and to know that whatever their needs, we are available for them. That is why we have an incredible team of professional, experienced, teaching, boarding and administrative staff working as a team to be there for your child. Brillantmont is home to 150 students from over 35 nationalities Your child will be able to make friends from other cultures but will almost certainly meet someone else who speaks his /her language or knows his /her country. Don't imagine your child lost in a huge class with no chance to participate: at Brillantmont, the average class size of 9 means that your child will develop close connections with teachers and get all his/her academic needs met on a personalised level. In one of our last blog articles, Echoes of Hogwarts: the Houses of Brillantmont, we emphasised the way in which the student-led Houses enable students to integrate easily into the social and academic life of the school, through the weekly meetings and the various House events which punctuate the school year. Seeing your son or daughter welcomed with open arms into a community of a manageable size where personal attention to safety, health care, community building, and academics is provided offers incredible reassurance. Of course, saying goodbye to your child is tough but at a school like Brillantmont we try our utmost to take the pain out of separation. Let us help you make the transition to boarding school an easy one for you and your child. Contact us directly for more information or with specific questions.